The Stephen ship building company was founded by an Alexander Stephen who began shipbuilding on the Moray Firth in 1750. 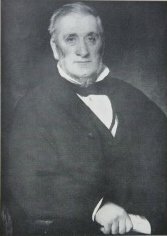 A few generations later his grand-nephew, Alexander Stephen, already established in Dundee, arranged a lease of the Kelvinhaugh yard in Glasgow from a Robert Black for twenty years from May, 1851. It was at Kelvinhaugh’s Front Yard #22 that Clyde was built in 1860. 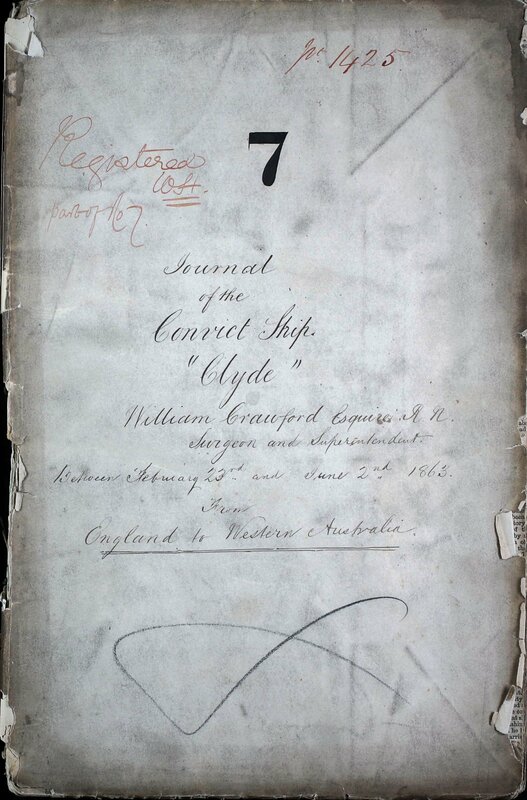 Amazingly, in the first year of Clyde’s registration there were 25 British vessels of the same name – not just in Britain but in Canada, Australia and New Zealand. The Stephen yard at Kelvinhaugh produced 147 ships before operations were moved to Linthouse, Glasgow in 1870, prior to the expiration of the Kelvinhaugh lease. Clyde was built by Alexander Stephen for owners Somes Bros. of London (later the Merchant Shipping Company). 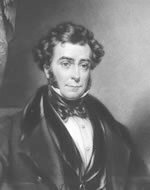 The Somes brothers were sons of the famous Joseph Somes (1787-1845) an ‘India-husband’, i.e. owner of Hon. East India Company ships, and many other fine ships from early in the 19th century and a great supporter of Lloyds Register. The 1151 ton Clyde was launched on July 5, 1860 (official number 28848) and her first voyage appears in Lloyds Register in 1862/63 sailing from London to Australia. 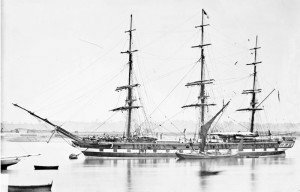 Clyde was a three-masted iron clipper ship. Her dimensions were: length 214 ft.; breadth 33.1 ft.; depth 22.6 ft.; draft 17.6 ft. She had a square stern and a scrolled figurehead. 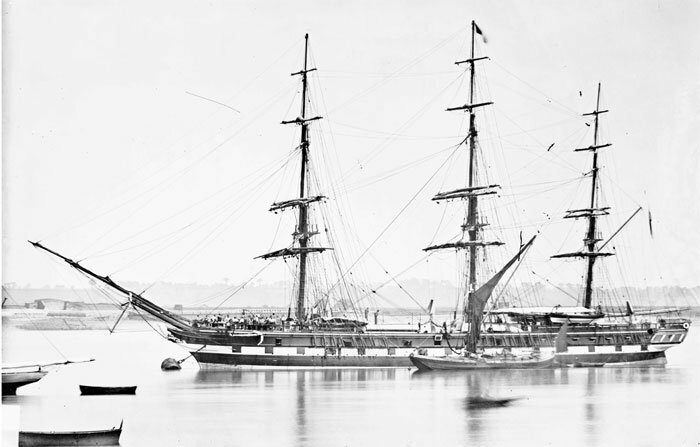 Clyde was employed as a convict transport bound for the Swan River Colony. She carried the 28th of 37 shipments of male convicts. 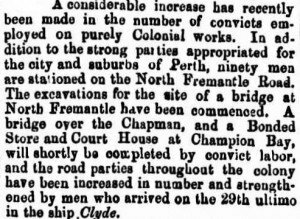 The Clyde arrived in Fremantle on May 29, 1863. Captain Henry Stephens and Dr William Crawford were the captain and surgeon respectively. 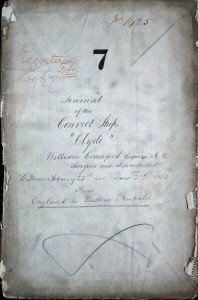 Clyde took on her first passengers at Tilbury on February 23, 1863 when Surgeon Superintendent Crawford boarded along with two religious instructors: Mr William Irwin and Mr Rosser from Millbank Prison. Crawford spent his first afternoon on shore examining 50 pensioner guards, their wives and children all of whom boarded Clyde the following day. Crawford records that prisoners were taken on board at Chatham (118), Portsmouth (80) and Portland (123), yet makes an error in his arithmetic; none were reported as having died but only 320 arrived. Crawford’s breakdown of the convicts’ origins is interesting: “234 English, 2 Welsh, 28 Scotch, 48 Irish, 8 Foreigners”. It is recorded that two of the ‘foreigners’ were natives of British Colonies. In the first week of boarding, before leaving England’s shores, two children were born to the wives of Privates Haley [Healy] and Walsh. Later in the voyage Private Batley’s wife gave birth to a daughter and Private Webb’s wife died in childbirth. 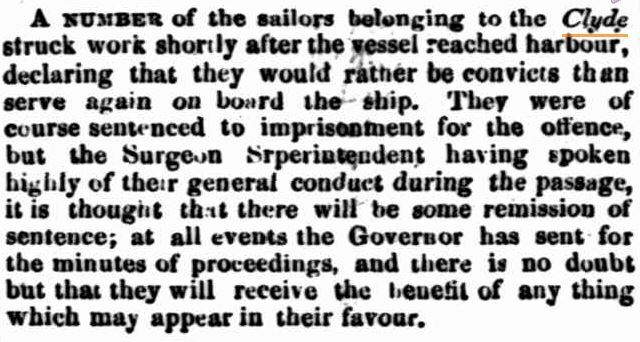 There were at least nine Crimean War veterans on board. Most were enrolled pensioner force men, but one, Mathew Morris Lane formerly of the Turkish Contingent, was on his way to a position as a prison warder in the Convict Establishment. 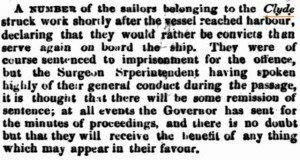 While Warder Lane’s conduct on board was good, Mrs Lane was reported upon numerous occasions as a disruptive influence! Corporal James Crowe, a convict guard formerly 97th Regiment, and his wife Ann were passengers. Ann had allegedly nursed with Florence Nightingale. 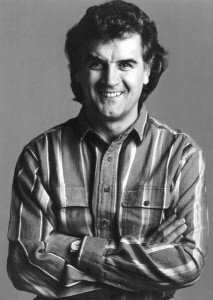 Just over a hundred years after Alexander Stephen’s first shipbuilding presence on the River Clyde, a 16 year-old Billy Connolly, the Glaswegian comedian, started his apprenticeship with Alexander Stephens & Sons at Govan. Inquirer and Commercial News, 3rd & 10th June 1863. 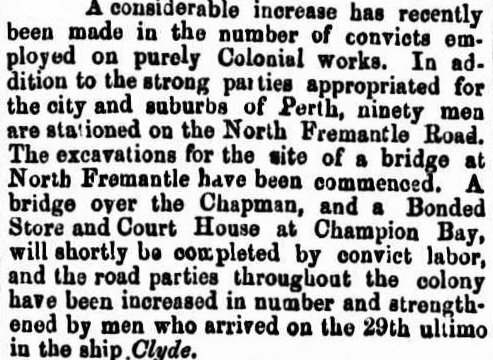 Perth Gazette, 12th June 1863.